Vehicle emissions pose a problem in cities around the world, and even public transport is a contributing factor. London shows how electric buses equipped with zero local emission ZF technology lead to a more environmentally-sustainable mobility. Lars Weitbrecht originally comes from the music and gaming industry, but in addition to holding a game pad or guitar in his hand, he also enjoys the power of the pen and the feel of the steering wheel. Although the city’s appearance has greatly changed, this is not really true of the typical red double-decker buses that London is famous for. Wait a minute, wrong! To clean up the air in the city, the operator is in the process of electrifying the double-decker bus fleet. Soon, thanks to the electric bus, one of the lines is about to go all electric. The tried-and-trusted AxTrax AVE electric portal axle from ZF is making a big difference for zero local emission drives in London’s rolling landmark, the double-decker bus. To mitigate climate change, other big cities around the world are also beginning to rely on electric buses in their public transit systems – whether through the use of modern electric buses or the use of retrofit sets, like the ones that ZF will soon be supplying with a cooperation partner. Evenings on London’s West End are almost brighter than during the day. Lights of all colors illuminate the billboards for numerous plays and musicals that are being performed here in the area. Tourists flock to the West End in search of culture and entertainment. Here, along the three-lane one-way street Tottenham Court Road is the final stop for Line 134. The typical red double-decker buses start in London’s suburb of North Finchley and cross the colorful city district of Camden. For the roughly eight mile stretch, it takes the buses about 60 minutes, depending on the average daily traffic. Currently, Line 134 reaches Tottenham Court Road in the West End under diesel, but that is about to change. Many cities in the world have problems with air quality, as does London. Like a magnet, the city is attracting more and more people, and with them come cars that produce hazardous emissions. Scientists and doctors estimate that emissions in Great Britain are co-responsible for 40,000 deaths annually and that they cost the economy GBP 20 billion. It is high time to act. Regardless of whether it is used in London, Los Angeles or in another city in the world, many public transit bus manufacturers want to make the leap toward electromobility. In the ZF Group, with its pronounced systems expertise, they have a strong ally to help them in this process. ZF not only offers various electric drive solutions, but also the necessary software and other hardware. The perfectly coordinated package consisting of axles, electric motors, inverters, power electronics and vehicle control ensure optimal energy efficiency and range in each electric bus. Of course, the spare parts supply and service are also guaranteed worldwide. London’s city council has been implementing countermeasures for some time now. For example, in 2003, the “London congestion charge,” a toll for almost all vehicles that want to enter the city, went into effect. Then came a charge for older vehicles, the "Toxicity charge", in 2017. Starting in April 2019, the city center will be considered an environmental zone with the strictest emissions regulations. At this time, driving bans on certain roads will be additionally introduced on a test basis for cars with combustion engines. Public transport systems are playing a key role in the fight against air pollution. The operator “Transport for London (TfL)” has been intensifying its efforts for a while by putting electromobility at the center of its actions. Even at this early date, the English capital city has the world’s largest fleet of electric buses; by 2037, all buses in the city will be operating with zero local emissions. Line 134 will do this considerably earlier – with the help of ZF technology. Caption: The AxTrax AVE electric portal axle from ZF will soon be powering electric buses from the Optare Metrodecker EV product line with zero local emissions – seen here in Line 36. 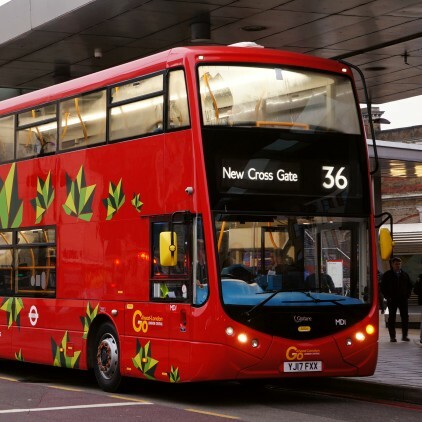 Starting in summer 2019 onward, 31 battery-operated double-decker buses produced by the British manufacturer Optare will be operating on the North Finchley – Tottenham Court Road route. The buses are equipped with the electric portal axle AxTrax AVE from ZF. The AxTrax AVE, previously called AVE 130, has proven itself globally for years in low-floor buses. This order for one city center electric bus line alone means 1,860,00 passenger kilometers traveled annually with zero local emissions. Welcome side effects of electrification: Since no additional engine nor a universally jointed shaft are necessary, the installation space needed for the drive is reduced as is the vehicle weight. This enables a stronger battery to be installed in the electric bus or opens up more space for passengers – both of which are a bonus for the daily flood of commuters. 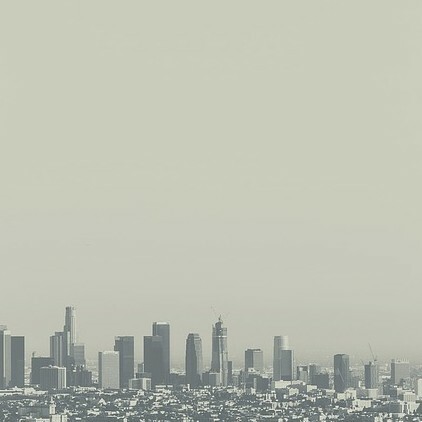 In few U.S. cities is the air as polluted as it is in Los Angeles. California is therefore investing in renewable energies and passing strict emissions regulations. equipped with the AxTrax AVE, at zero local emissions. On the other side of the Atlantic, public transit is also becoming increasingly electric. In the U.S., ZF has long enjoyed a strong partnership with the North American market leader for buses, New Flyer of America, Inc. By 2020, New Flyer of America is planning to deliver 100 units of its Xcelsior CHARGE electric bus product line, equipped with the AxTrax AVE, to public transit companies in U.S. cities. One of the cities is Los Angeles. The second largest city in the U.S. is battling traffic-related air pollution, which is intensified even more by its location in a valley and the high population density. 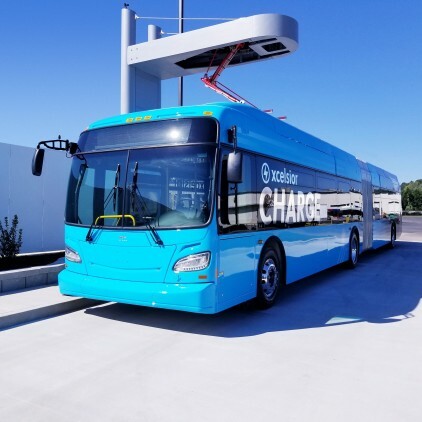 Unlike any other state, government and businesses in California are therefore investing in sustainable mobility, including the associated infrastructure, which makes the electric bus an important element of these plans. The Xcelsior CHARGE public transit bus, equipped with the AxTrax AVE electric portal axle, from New Flyer will soon be on the roads. Buy new city buses with an electric drive? Yes, sure. But what about the huge bus fleet that is already out on the roads powered by diesel engines? The service life of a city bus with a combustion engine is between 10 and 14 years. Communities fighting for clean air in city centers cannot simply replace many of these buses before the end of their service lives in favor of an electric bus with a zero local emissions drive. The costs for this change-over would be tough to contain. So what can be done? The innovative solution is to retrofit the existing diesel buses for zero local emission electric drives. ZF and the Munich-based engineering company in-tech GmbH recently signed a strategic partnership agreement to develop just such a retrofit solution. The jointly developed retrofit concept e-troFit is currently being tested in a pilot project, its market launch is scheduled for the second quarter of 2019. The change-over from combustion engine to the electric drive for an electric bus costs up to 50 percent less than buying a new bus. For an average service life of ten years, public transit companies will additionally save roughly €100,000 in fuel costs per bus. With products such as e-troFit, the versatile CeTrax central drive or the AxTrax AVE electric portal axle, ZF is supporting its customers in reaching their local or national climate goals. In brief: To make air in the city cleaner, London’s bus fleet operator is in the process of electrifying its buses. Soon it will operate one of the city’s bus lines on all electric power. The tried-and-trusted AxTrax AVE electric portal axle from ZF is making a big difference for zero local emission drives in London’s rolling landmark, the double-decker bus. To mitigate climate change, other major cities around the world are also electrifying their public transit buses – whether it's by using modern electric buses or the innovative retrofit sets soon to be produced by ZF with a cooperation partner.